My good friend Tony Dungy, the famed former coach for the Indianapolis Colts, used to call me every week during the year he won the Super Bowl. Each week we would talk on the phone about a variety of subjects. We’d always end in prayer. Once Coach Dungy made it into the Super Bowl game and his team was slated to face the Chicago Bears, I thought that his prayer might change—not much, but some—toward winning. What’s my point in sharing this story with you? 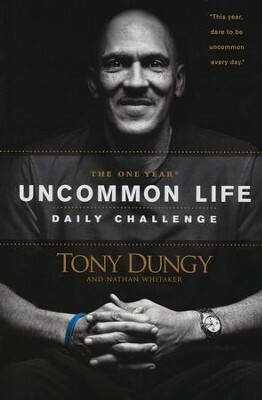 Coach Dungy had made a kingdom connection to coaching football. Kingdom, and God’s agenda, correlates with everything He has given us to do. Nothing sits outside of His direct rule and intended purposes for it to bring Him glory and expand the reach of His name. Large, high-end department stores will often have over-sized display windows that face the street. These windows are often filled with dummies, also known as mannequins. The mannequins are clothed in the most current trends and positioned in such a way so as to draw the attention of the passers-by on the street. Some of the very expensive stores will even go to great lengths in employing living-mannequins to stand in their windows, clothed in their fashions, in an effort to attract people into their stores. One time when my wife Lois and I were walking in New York City, we literally saw a living-mannequin sitting in a Ferrari in a display window! Why do the owners of these department stores go to such efforts in filling the windows with such elaborate displays? The reason they do this is so that when people are walking down the street, they will be impressed by what they see and that will then draw them into the store to shop. These dressed-up-dummies draw potential customers into a kingdom of clothes and merchandise that has floor after floor after floor of so much more. Friend, when God blesses you, He does so with the intention of putting you on display. He allows you to be successful, obtain your education, have the resources that you do, gain popularity or notoriety, so that you will be seen as a representative of His kingdom who has been touched by the favor and grace of God Himself. But don’t go and get the big head when He clothes you in such fine designer threads. Because if you start to think you got yourself to where you are now, you will forget that it was His providential leading and provision which made you into what you are today. We must all remember that on our best day, we are sinners saved by grace. TONY EVANS (@DrTonyEvans) is the pastor of Oak Cliff Bible Fellowship and a best-selling author of over 100 books, including his most recent book, Pathways, from which this article was excerpted with permission of B&H Publishing.